Iran warned Monday it would cut cooperation with UN nuclear inspectors if the UN Security Council takes action against it, as the United States is urging. 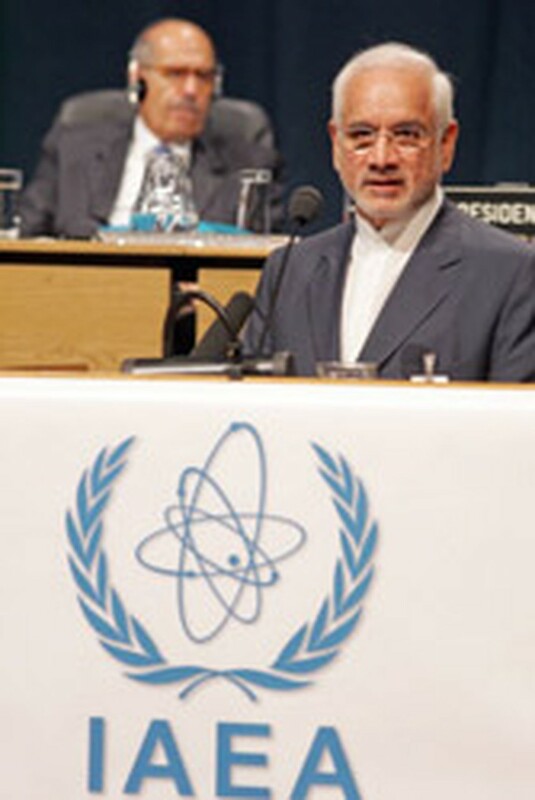 "There should also be no doubt that any hostile action by the UN Security Council would lead to limitation of cooperation with the (International Atomic Energy) agency," Iranian Vice President Gholamreza Aghazadeh told a general conference in Vienna of the IAEA's 140 nations. Aghazadeh, who is also head of the Iranian Atomic Energy Agency, warned that "such a unilateral approach, aggressively pursued by one or two states, is bound to cause loss and damage to all." His comments came shortly after IAEA chief Mohammed ElBaradei had opened the week-long conference by saying he remained "hopeful" Iran and world powers would be able to move towards "long-overdue" negotiations over Tehran's atomic ambitions. French President Jacques Chirac in Paris had earlier in Paris urged world powers not to refer Iran to the UN Security Council for possible sanctions over fears the Islamic Republic seeks nuclear weapons. He argued that more negotiations should take place with Iran, free of the threat of sanctions. Chirac at the same time called on Iran to give up uranium enrichment, the process which makes fuel for civilian nuclear reactors but also atom bomb material.